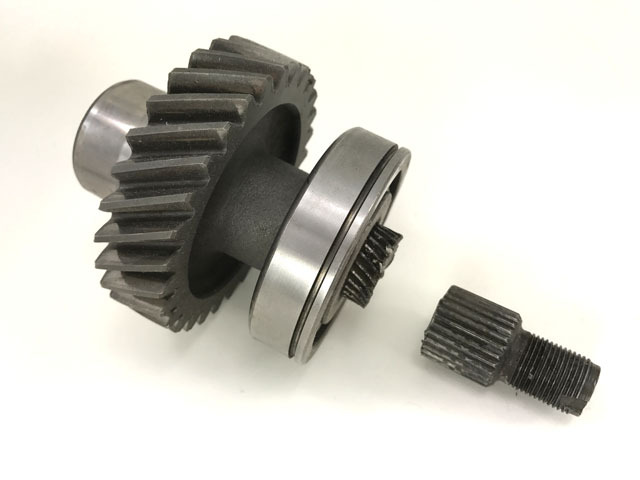 As mentioned in our Newsletter, this is a short tech article for Marlin Crawler's 30-Spline Chromoly Front Output Shaft which applies to 1979-95 gear drive Toyota transfer cases. 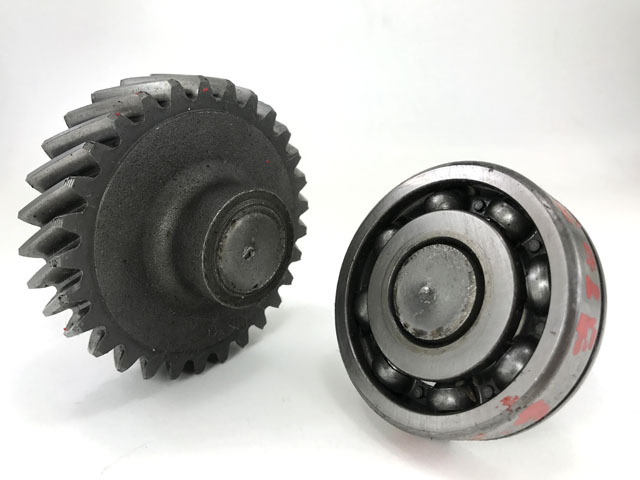 Every year we see thousands of broken customer drive train parts and over the years we've seen some pretty crazy stuff. Carnage that makes ya scratch your head and wonder how in the world did that fail. Marlin has a nice section behind his office we call the 'Trophy Room', where he has been saving broken engine, transmission, transfer case, and axle components for years and years. Nine out of ten customers could care less about their broken cores and any day we get to add broken parts to our collection is a great day. You should see how excited we are when we come across these things. In fact, just since May of this year I've amassed an amateur collection of 5 failed late-model Tacoma & 4Runner IFS inner tie rods that I've encountered out on the trail. You guys will be seeing them in our marketing once we get our Heavy Duty IFS 'MarRack' steering system into production next year. Our IFS tie rods are a minimum 2.5-times stronger and are holding up to my 40" tires + Triple Transfer Cases with ease (example videos: MarRack Stress-test & MarRack in action). Being able to show side-by-side comparisons of parts to customers on the trail is a real eye opener. 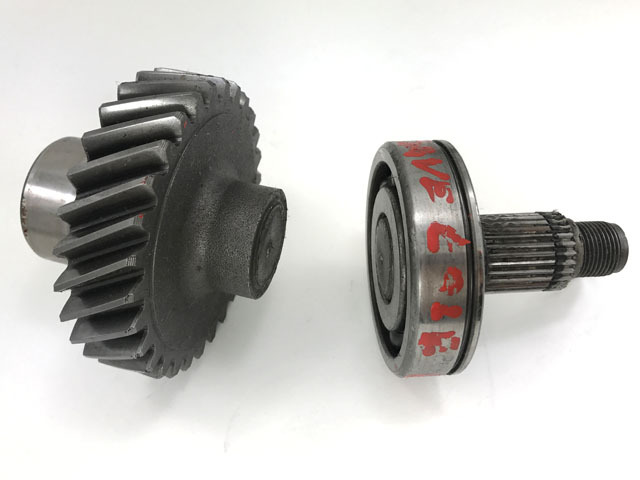 While cleaning we came across some broken factory 1979-95 gear drive t/case front output shafts Marlin had saved in a box. 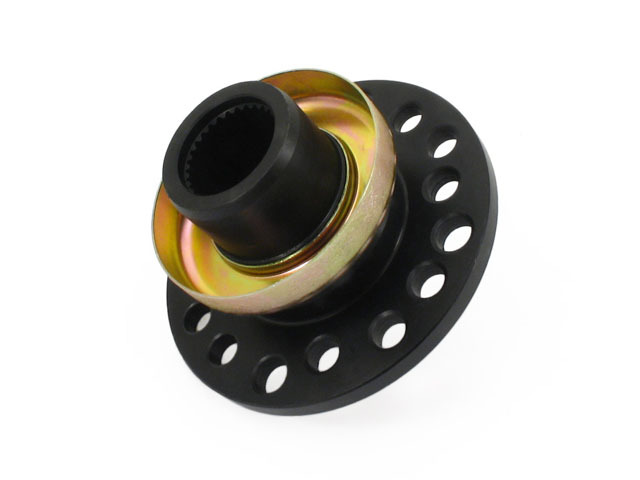 Out of the collection, half failed at the splines and the other half failed at the smallest cross-sectional area past the bearing race. 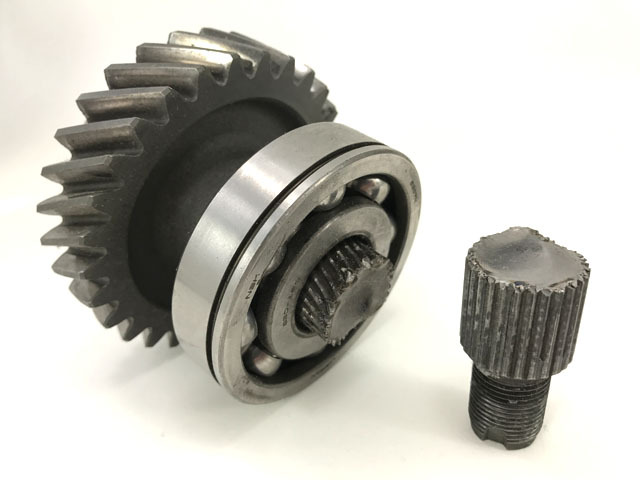 We expect more would fail at the splines due to additional lateral forces created by the front drive shaft, but it is nice to see failures beyond the bearing at its smallest diameter. And here is the other failure from the smallest location beyond the bearing (smaller than the splines). The keen eye will note Marlin's handwriting of Mr. Cole. Thank you Dave for the trophy! 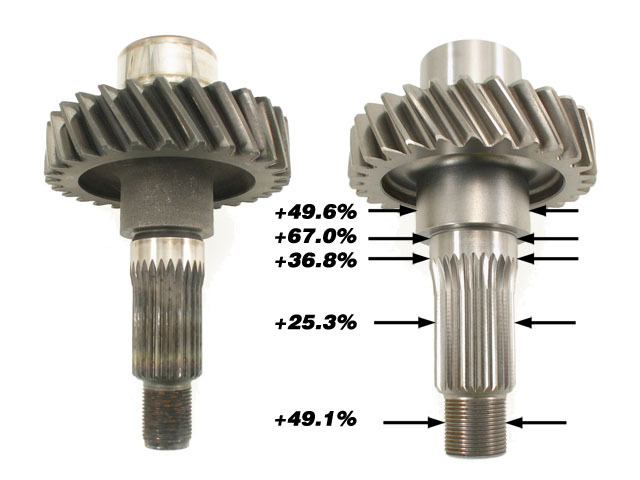 Not only have the splines increased by 25% and the minimum cross-section by 67%, but we are using Chromoly steel which itself has a higher yield strength. Lights out, Game over. Another thing to consider is that the flanges of each broken output we have are all re-usable. Therefore, this sample set shows that flanges are stronger than the shafts, and in our experience this is what we have witnessed out on the trail. But when we began testing early HD prototypes in a Toyota V8-powered King Of The Hammers competition vehicle, we found our shafts were so strong that a factory Toyota flange could not hold up! This is why we had to manufacture uber high strength flanges: Marlin Crawler oversized Chromoly outputs are that strong. 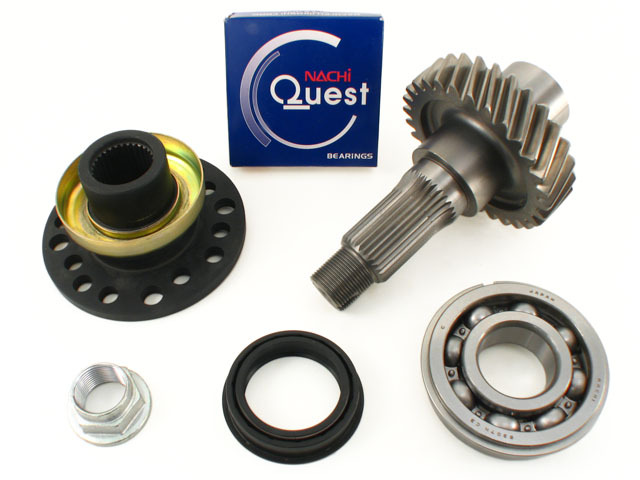 We have been selling Oversized & Heavy Duty Chromoly Toyota Transfer Case Outputs since 2008 and still to this day are the only upgraded outputs that are so strong they necessitated upgraded flanges obliterating two weak-links with one product! If you were wondering what output shafts are the strongest, this point alone provides heavy credence to the case. Thank you for reading and Happy Crawl'n!